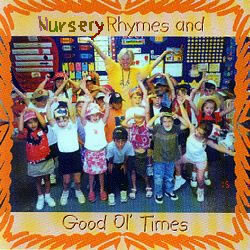 How much fun can you have singing nursery rhymes and traditional songs? With a little rhythm, beat, and rock, you'll be able to introduce these old favorites to a whole new generation. This CD includes interactive versions of nursery rhymes where children can sing along, plus "Comin' Round the Mountain," "Home on the Range," "Froggie Went a Courting," "Yankee Doodle," and other classics.